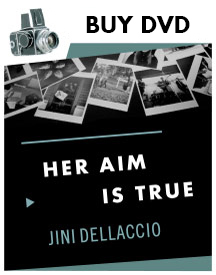 Like most of the audience for Her Aim Is True, the new indie documentary by Karen Whitehead, I had never before heard of Jini Dellaccio. Now that I’m more familiar with her, her cool and her cred are undeniable—a woman photographer who shot rock bands in the rowdy ‘60s garage rock scene has some serious stories to tell. One of her greatest accomplishments to this music junkie, however, is the hand that she played in fashioning the aura of Northwest music—the “Northwest cool” that legendary Seattle music personality Pat O’Day coined. Country music may conjure up images of Nashville; rap pits New York against Los Angeles. But popular music today is rarely associated with any particular locations outside of these music capitals. Aspiring musicians come from their hometowns to make it big, but melt into a generic national sound. Outside of the music-producing capitals of the United States, however, less well-known but rich subgenres of music still thrive on a strong regional identity. Washington’s prolific music history has famously given the U.S. grunge and Riot grrrl, but their precursors were the Seattle- and Tacoma-based rock bands that Jini Dellaccio photographed. The Washington rock scene in the 1960s and ‘70s was full of garage rock and proto-punk groups such as the Wailers, the Sonics, and Paul Revere and the Raiders, each of which gained some national attention but remained regionally more famous. They were cool and cutting-edge; teenage dreams of rock-and-roll rebellion. And their spirit is evident in Jini’s photographs. She took them outside of the stiff studio environment and into the outdoors to convey their “Northwest cool,” starting with her cover for the Wailers’ Wailers, Wailers, Everywhere. Instead of posed indoors, the band was photographed walking in a park. This effortless hipness and crucial expression of Northwest personality seems totally natural and expected to me—it’s hard to place myself in an era when this wasn’t the norm, and to realize how revolutionary Jini truly was. If Jini was revolutionary, then so were the bands (such as the Wailers and the Sonics) that helped to shape the output of the region for years. They’re often thought of as the essential forerunners to the famous Seattle punk and grunge scenes of the ’90s, when Nirvana and Pearl Jam’s rise made music history and Olympia’s Bikini Kill was the soundtrack to early third-wave feminism. Begun in the 1990s but continuing today, Sub Pop Records of Seattle champions critically acclaimed indie music artists from the Northwest, such as Modest Mouse and Death Cab for Cutie. Spin Magazine even said in 1992 that “Seattle is currently to the rock and roll world what Bethlehem was to Christianity”—an amazing step for a region that didn’t have many national hits till the 1950s! Independent artists such as Macklemore have garnered success as well, even as they remain closely linked to Washington. When I saw Jini’s photos, I could immediately recognize the same spirit as the bands that I adore today from Washington and Oregon, even without knowing almost anything about the bands that Jini photographed. The “Northwest cool” that Jini helped define can be traced down through the decades into the music scene I adore today. No matter how hip I think my taste is, it’s clear that Jini was there first!